Best equipment to use? Editing in progress! I am often asked what the best equipment for the kitchen should be made from. So here are my thoughts. From a health point of view, you should choose stainless steel, good quality enamel or silicone where possible. Avoid non-stick, aluminium and plastic equipment where you can. Pyrex is fine but often flakes with age meaning that old pyrex can be risky. Keep your eyes open for sales. Avoid using cling film in proximity to food as the plasticisers leach into the food. Warmth and acidic foods may make this leaching worse. 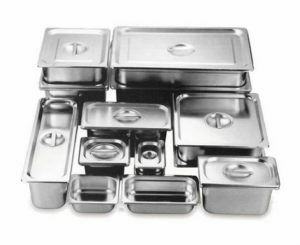 Invest in a few decent stainless steel containers with lids instead. These will last a lifetime. A few good appliances are all you need. I find the ones listed below especially good and own a version of all of these except for the Instant Pot duo 7-in-1. I plan to buy one of these at some point. I know a couple of very happy users, especially good if you have several mouths to feed apparently. 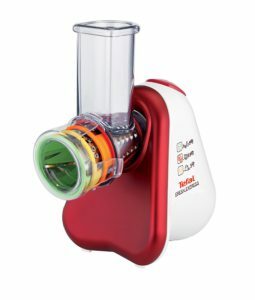 This gadget and similar models (Tefal Fresh Express) are fantastic for salad preparation. Good for carrots, cucumber, apples and other hard items but not good for ginger, garlic and smaller or soft items.